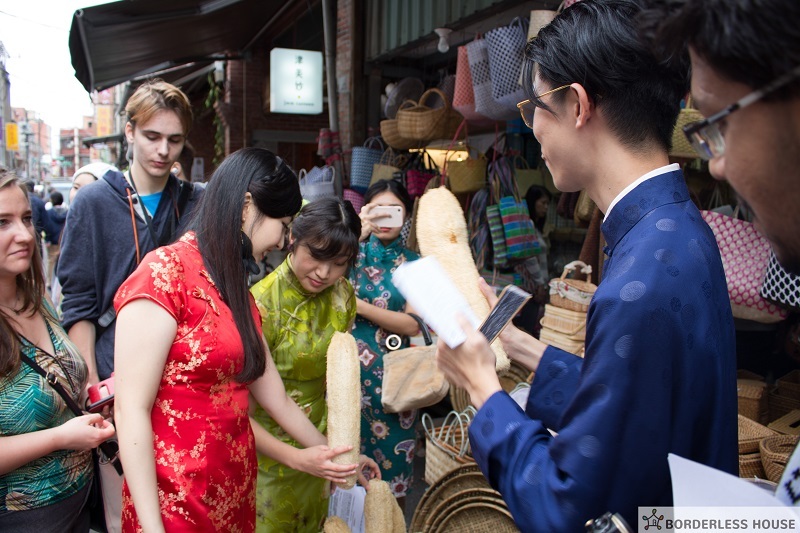 Wearing the traditional dress is one of the best way to experience a culture. 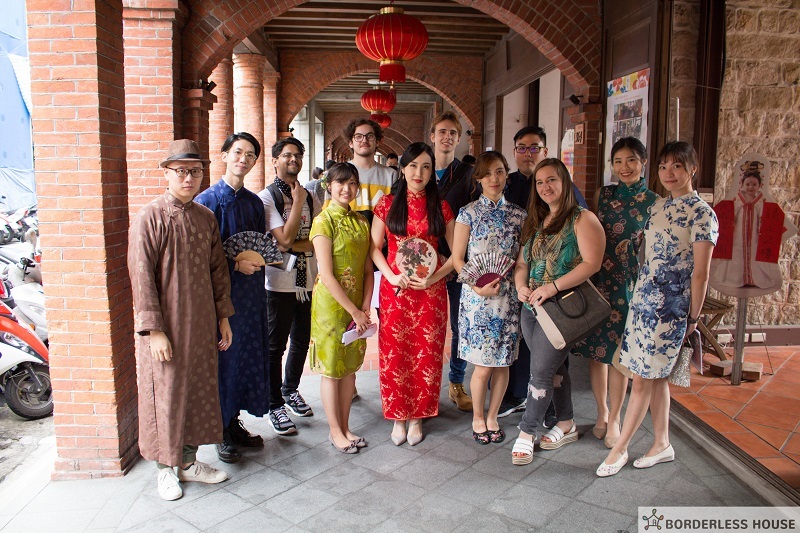 If you have a chance to visit Taiwan, you definitely need to try the traditional dress-Qipao! 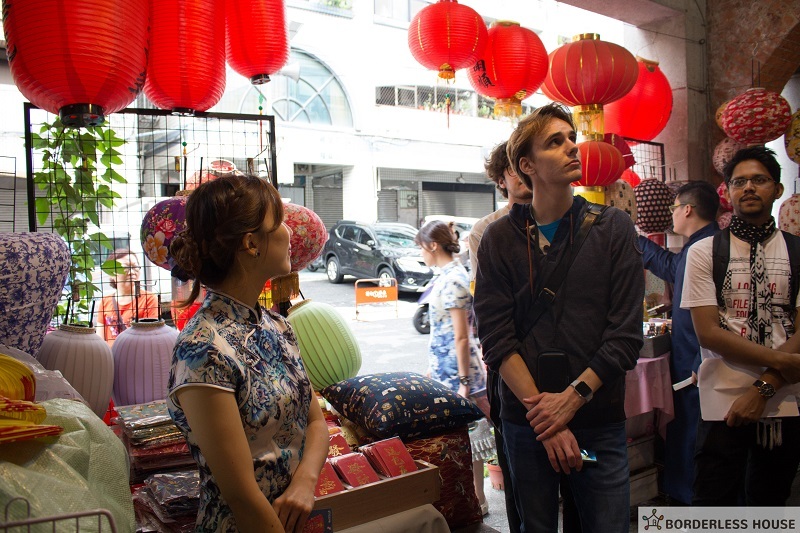 This time, we take our tenants to Da Dao Cheng for day tour, which is a very historic area in Taipei. 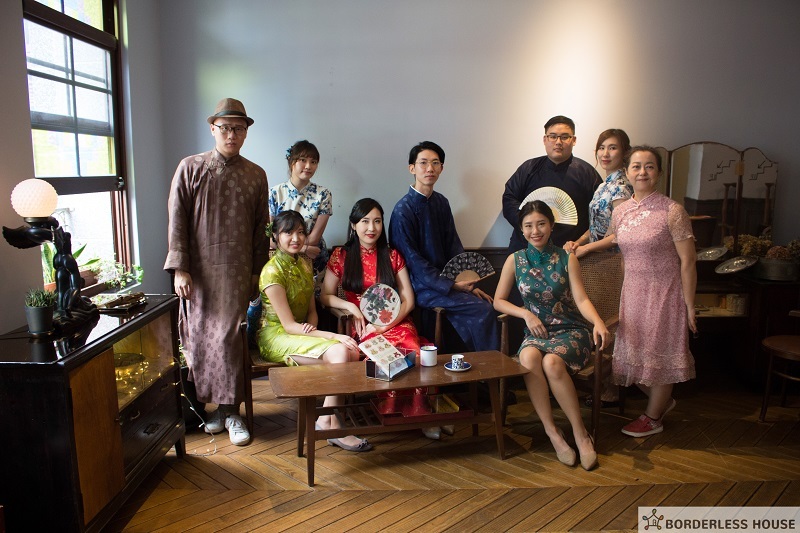 Wearing Qipao, walking in that area, it just feel like back to the 1920’s! 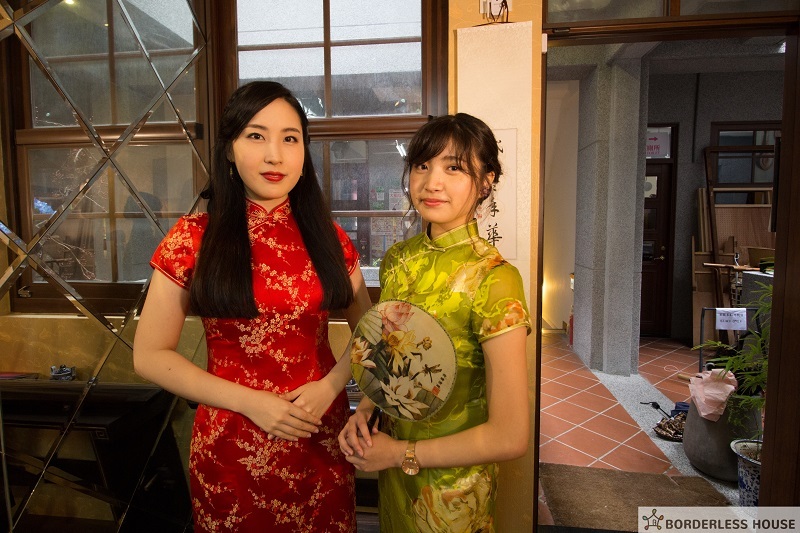 The 1920’s Salon offered a lot of different style’s Qipao, the owner Mrs. Lin also helped customers to dress up perfectly, included hair style, makeup and hand bags. 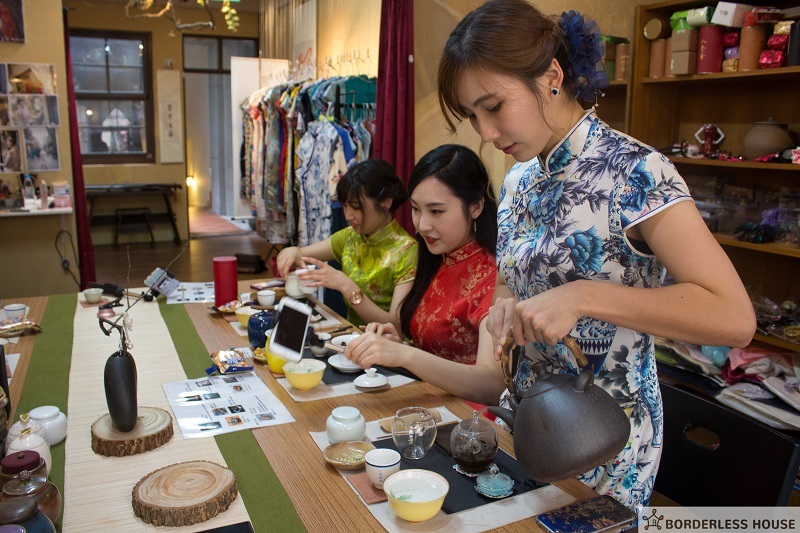 First step, feel free to try on all you like, choose your favorite Qipao style! And don’t forget to choose accessories for your costume, it’ll make it even perfect! 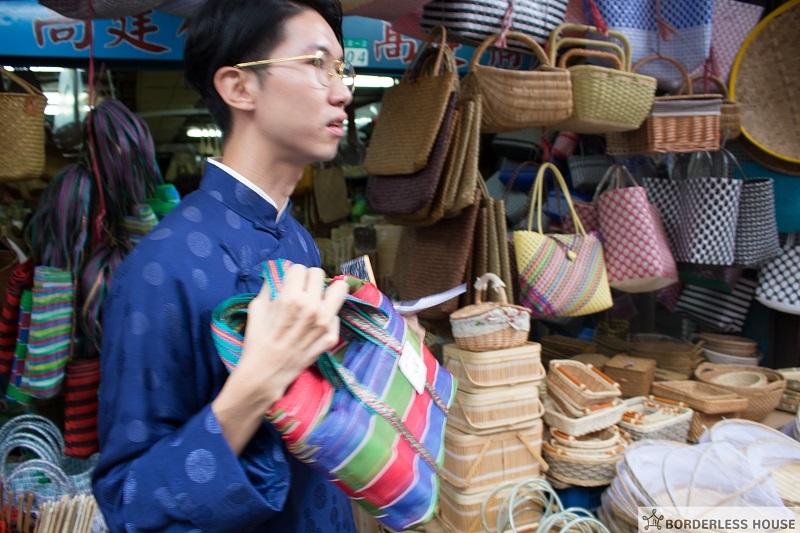 Of course, traditional dress is not just for females! 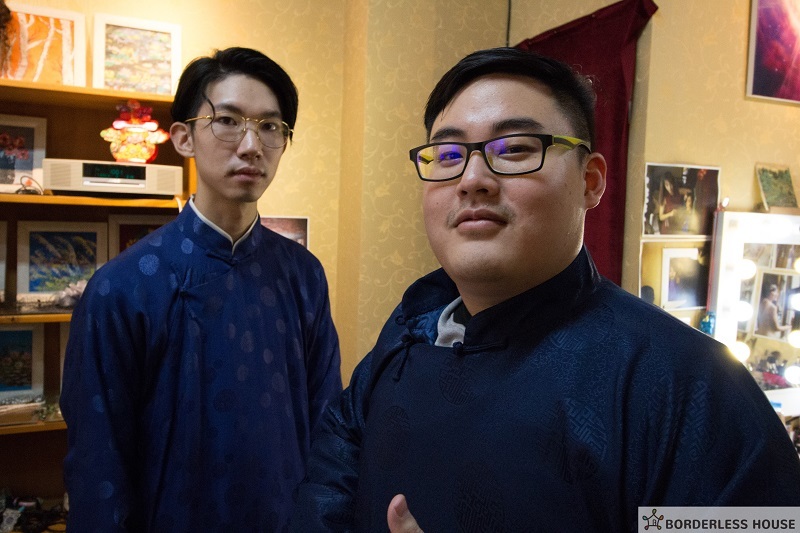 Males can also wear the Chinese tunic suit! 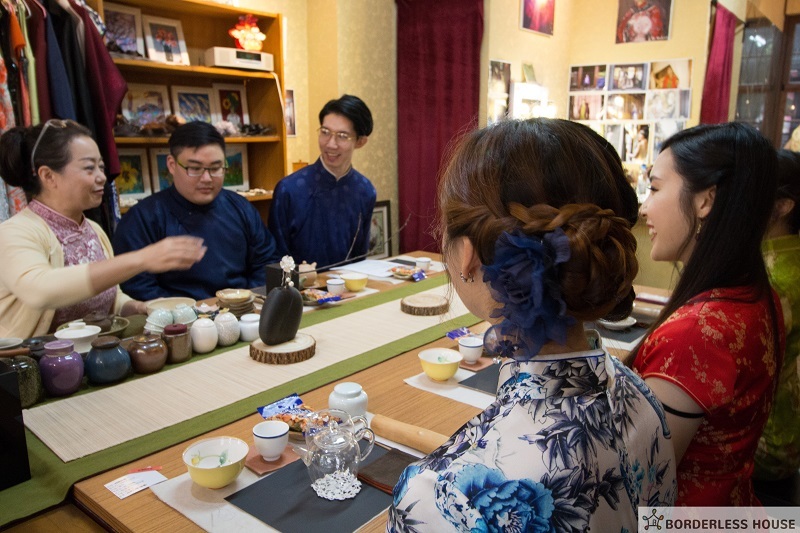 After everybody finished dressing, it’s time for the tea testing! 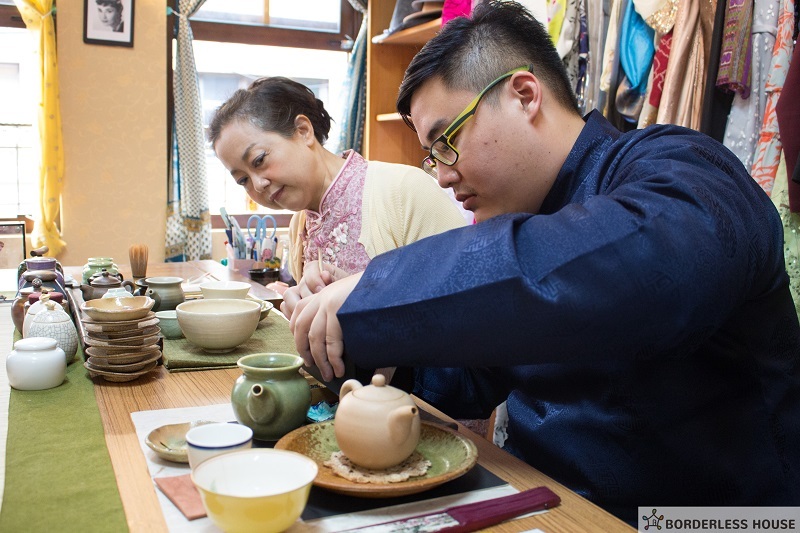 Mrs. Lin share some different tea leafs and explain how to do a tea testing to everyone. Every different leafs has different smells, it gives everyone a different imaginations! We shared our imaginations and memories which can contact to the smells. 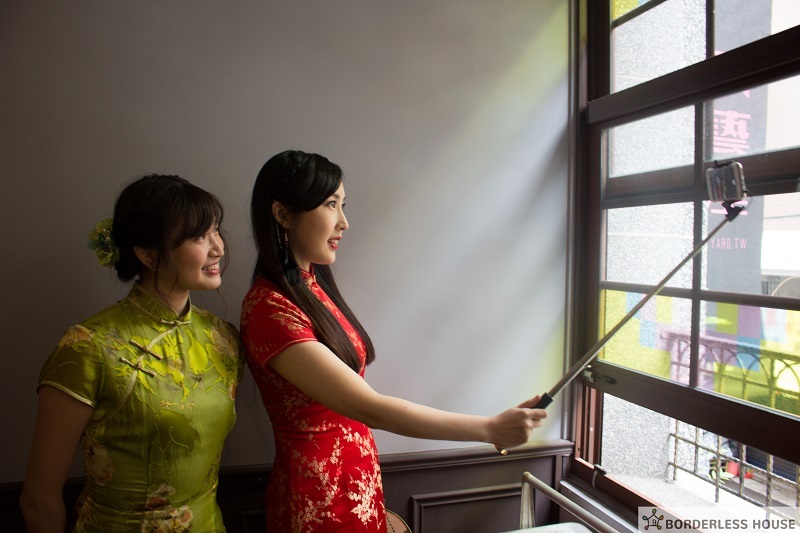 Of course, you do want to take some nice pictures since wearing Qipao is a very special experience! Luckily, we had a chance to take some cool pictures in “Lok Hue Hng”. 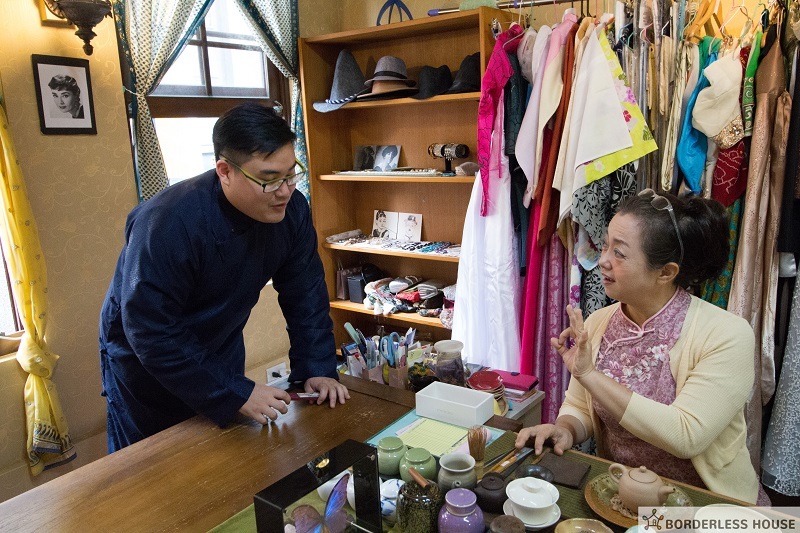 “Lok Hue Hng” is a second hand furniture store located next to 1920’s Salon, offering high quality and tasteful furniture. Afternoon, we started our walking tour in Dadaocheng. 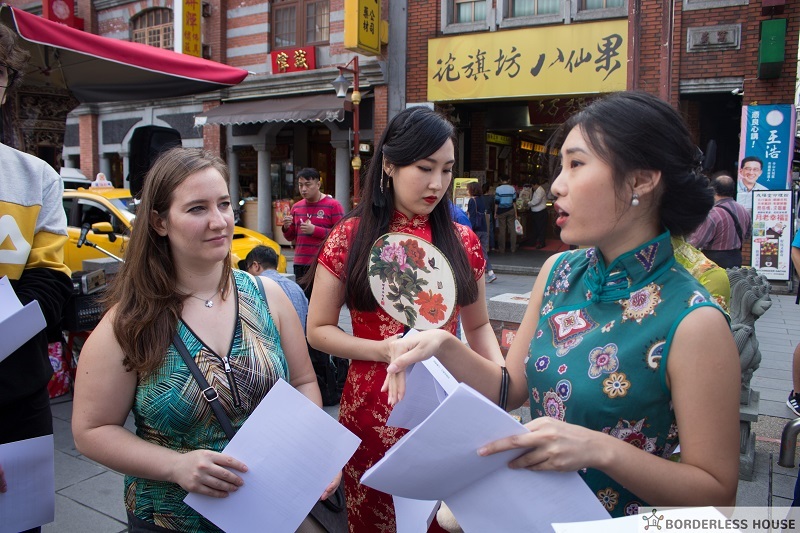 Qipao costume made us be came to the center of attention on the street, some people even asked for picture together. 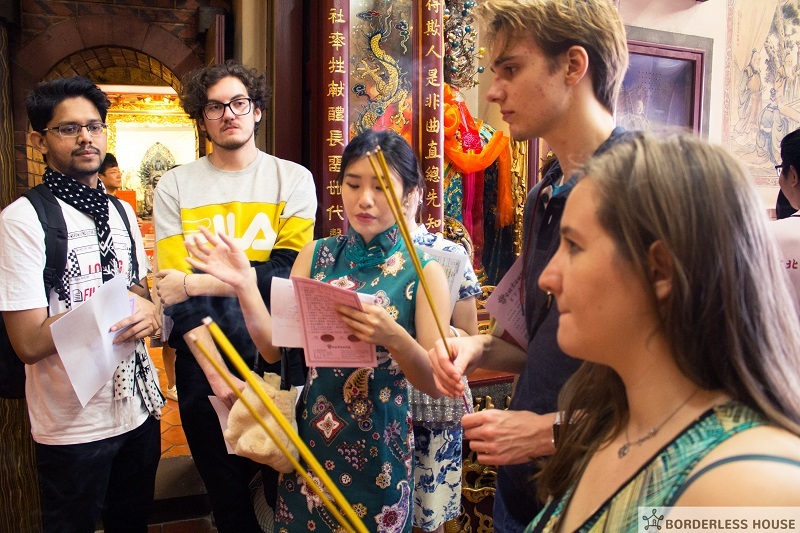 The first place we visited was Xia-Hai City God Temple. 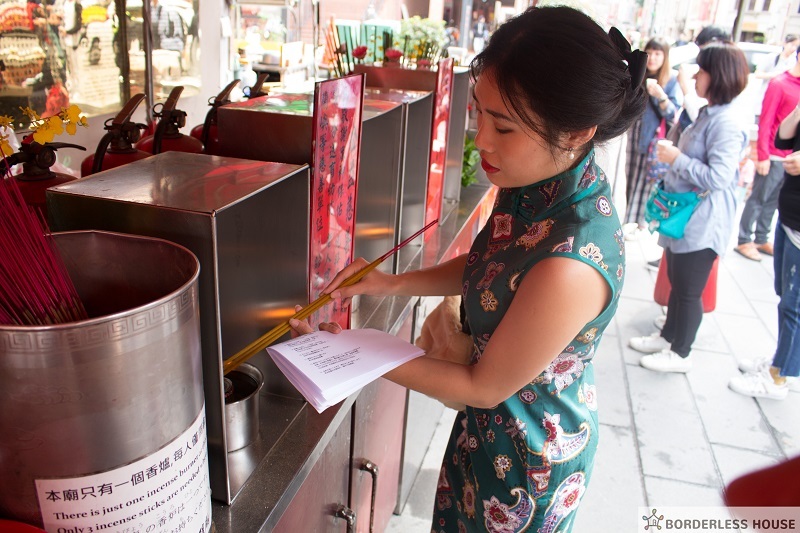 This temple was built in 1856, and the City God is a protector of city, the resident came here praying for rain, for relieves from nature disasters. 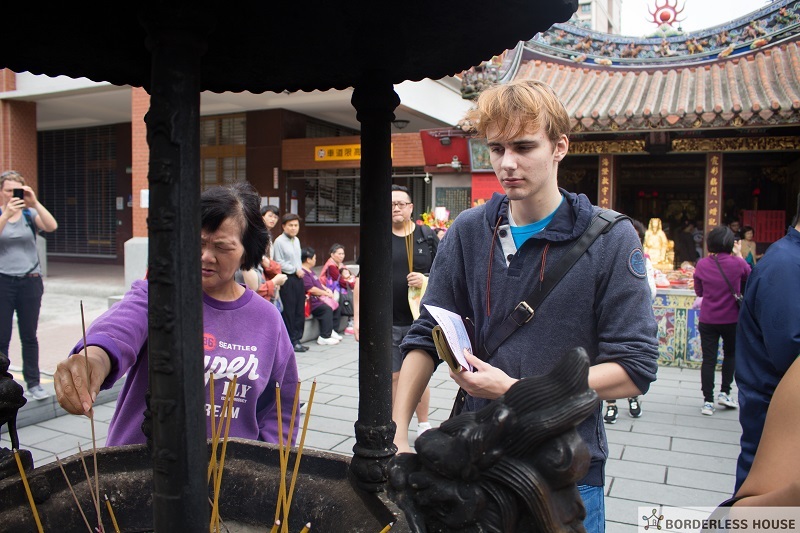 But in recent years, the Chinese Cupid (The old man under the moon) became to the famous god in this temple, there’s a lot of people come here praying for a good relationship. We show tenants how to pray step by step! It’s a very special experience for some tenants who didn’t try this before. After the Xia-Hai City God Temple, we went to a few different traditional convenience store. There’s some very interesting products in the traditional convenience store! Have you heard a kind of vegetable called loofah before? The old generation will exposure it under the sun, and use the dried loofah as a scouring pad! 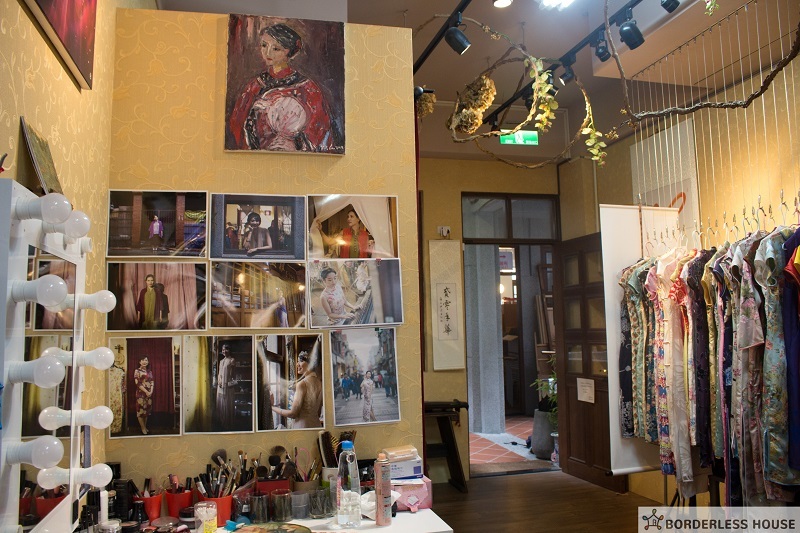 And of course, the Taiwanese style printing fabric are also very famous, especially the lanterns made by the printing fabric. 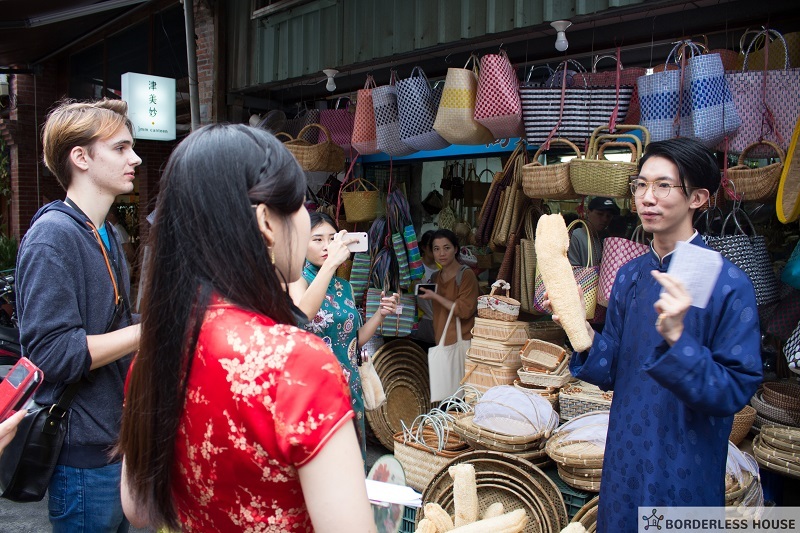 Give Qipao a try if you are interesting in the Taiwanese traditional dress, and if you are in the history of Taiwan, Dadaocheng is also a perfect place for you!